The Borrego Double Century is a hard ride, starting in the Southern California desert and leading over the Palomar Laguna mountain range to Oceanside and back. 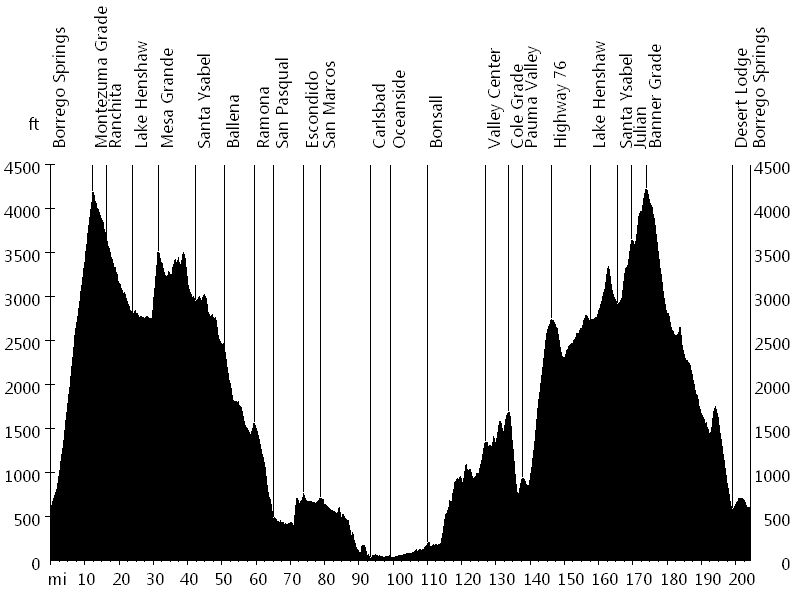 The course starts with a long ascent on Montezuma Grade, before descending to Lake Henshaw. It then climbs Mesa Grande and continues on Highway 79 into Santa Ysabel. From here the ride descends on Highway 78 until Ballena and on Old Julian Highway until Ramona. It then follows Highway 78 to Escondido and urban roads to San Marcos. San Marcos Boulevard becomes Palomar Airport Road, which leads into Carlsbad. 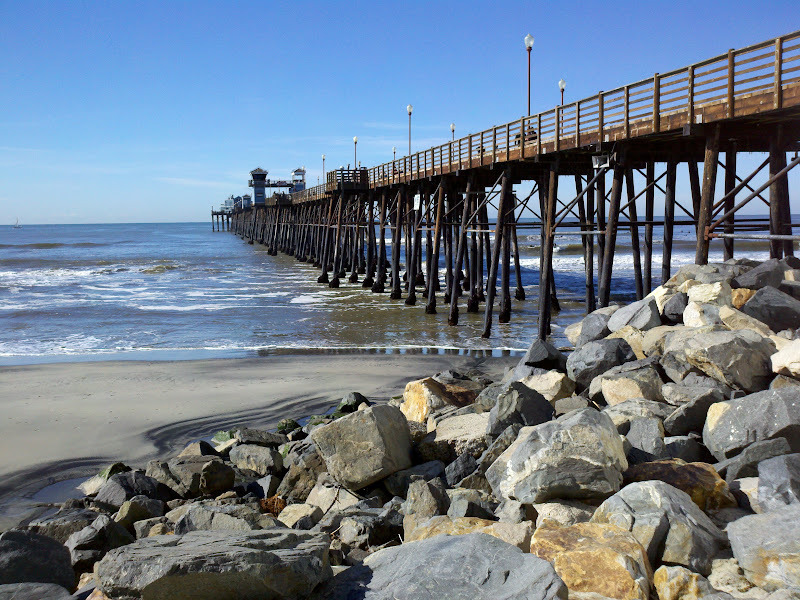 The route then continues on Pacific Coast Highway to Oceanside. Next San Luis Rey River Trail, North River Road, and Highway 76 lead towards Bonsall. West Lilac Road and Lilac Road gradually ascend to Valley Center. Cole Grade descends to Highway 76, which passes through Pauma Valley and climbs to Lake Henshaw. Highway 79 leads into Santa Ysabel, and Highway 78 ascends to Julian. Finally Banner Grade descends to the desert, and Yaqui Pass Road and Borrego Springs Road head back to Borrego Springs. Thanks to Anny Beck and her volunteers. The support was outstanding, including Julian apple pie, lunch on the beach, and a fresh smoothie stop. For about 150 miles I rode with Alex R. from Chico, who finished his fifth double century of the year. Congratulations and welcome to the Thousand Mile Club.